This is the season when graduates are urged to reach for the stars, but what if you leap headlong into a career or relationship that doesn’t feel right? No one wants to be labeled a quitter, but sometimes quitting is the best thing to do. 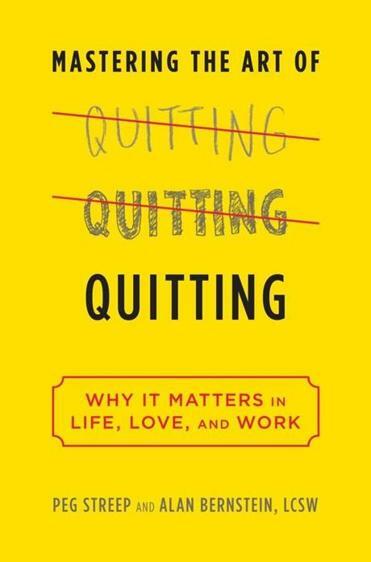 In “Mastering the Art of Quitting: Why It Matters in Life, Love, and Work” (Da Capo), coauthors Peg Streep and Alan Bernstein explain why it can be so hard to give up, even in the face of extreme unhappiness. There should be no shame in quitting, they argue, if it’s a carefully considered decision and the first step to redefining your goals.